Tickets are FREE for Startup Week attendees. Availability is limited, and seats are first come, first served. Doors open at 6:00pm; Use the north Library entrance by Canyon Blvd. Stay after the screening for a panel discussion with Director/Producer Robin Hauser Reynolds, Brad Feld, Krista Marks, Heather Terenzio, and Promise Phelon. This event is made possible by Brad Feld and Amy Batchelor. Tech jobs are growing three times faster than our colleges are producing computer science graduates. By 2020, there will be one million unfilled software engineering jobs in the USA. Through compelling interviews, artistic animation and clever flashpoints in popular culture, CODE documentary examines the reasons why more girls and people of color are not seeking opportunities in computer science and explores how cultural mindsets, stereotypes, educational hurdles and sexism all play roles in this national crisis. Expert voices from the worlds of tech, psychology, science, and education are intercut with inspiring stories of women who are engaged in the fight to challenge complacency in the tech industry and have their voices heard. 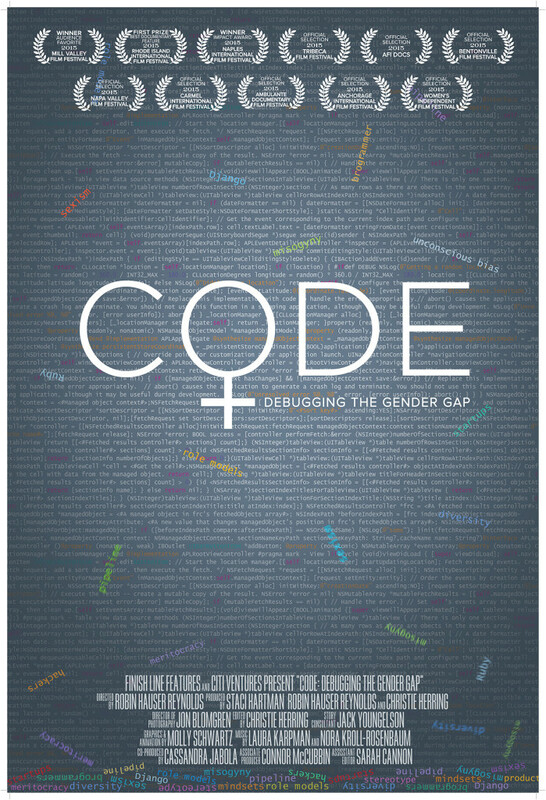 CODE aims to inspire change in mindsets, in the educational system, in startup culture and in the way women see themselves in the field of coding. Silver, Finish Line Features, Inc.
Director of cause based documentary films including CODE: Debugging the Gender Gap. Current film in production, Bias.